Because of constant terrorist threats in Istanbul (Turkey), EuroGeo Conference decided to move the venue to Ljubljana (Slovenia). 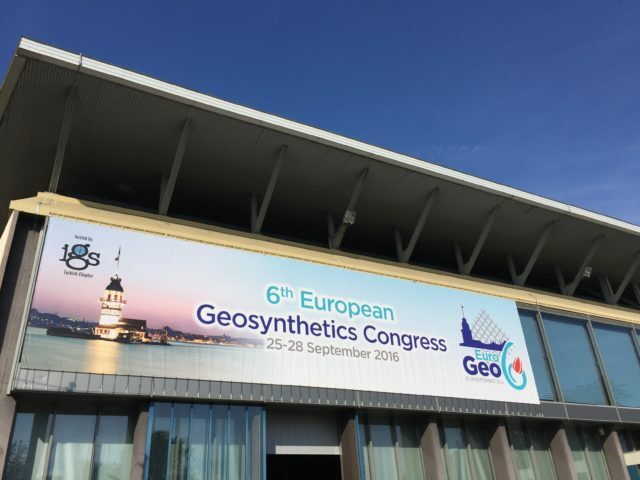 The event, which is curently held at GR – Ljubljana Exhibition and Convention Centre hosts an amazing 76 exhibitors who exhibit their latest innovations in Geosynthetics and 400 participants from 43 countries. The planners truly have a great numbers of participants and good experience from all the participants, which definitely proves that Ljubljana is an excelent host. The 6th EuroGeo Conference presents new materials and reforms to the geosynthetics industry reflected in scientific program with speakers from all around the world. A traditional event which is connecting academicians, manufacturers, practitioners and designers in the geosynthetics field. Despite the move of the venue, the conference still has the same technical, social and exhibition attributes as all other Regional IGS conferences. From the 25th to 28th September, Ljubljana, the European Green Capital 2016, proves itself and the meeting industry with all the beauty this vibrant city has to offer and professionalism of the organizer, GR – Ljubljana Exhibition and Convention Centre.